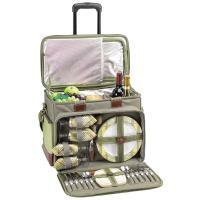 Fully equipped picnic cooler for four with removable wheeled cart from our Paris Collection. 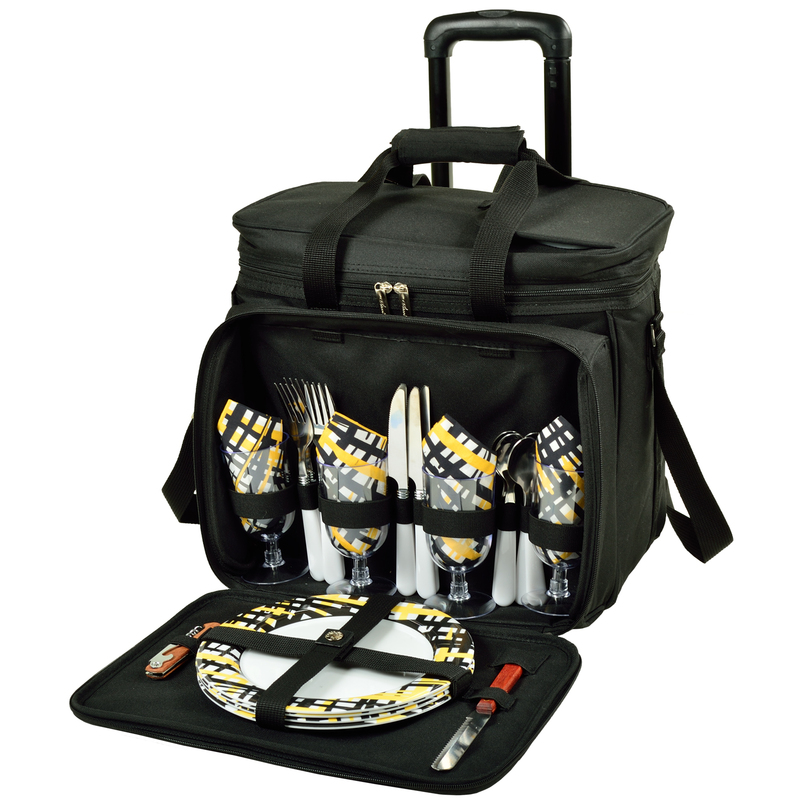 Unique, divided cooler compartment with separate sections for wine and food. 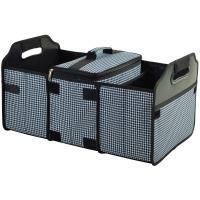 Divider can be detached and folded to the back when a larger cooler space is needed. Easy drink access panel in the lid. 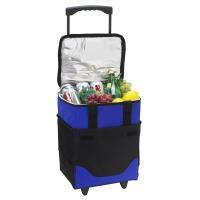 The cooler is leak proof so may used with ice to extend cooling. Includes combination corkscrew, cheese knife, acrylic wine glasses, coordinating melamine plates and napkins, stainless steel flatware. 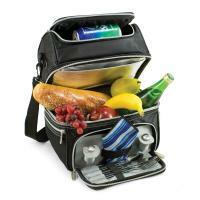 Includes hand grip & adjustable shoulder strap, extra front pocket. 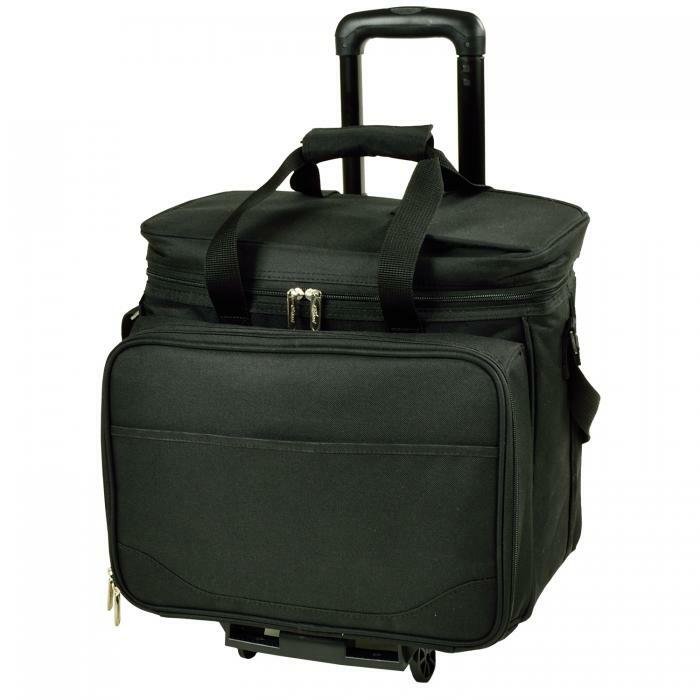 Wheeled cart has retractable handle and is simple to remove when not needed. 600D polycanvas. Designed and Assembled in the USA. Lifetime Warranty.